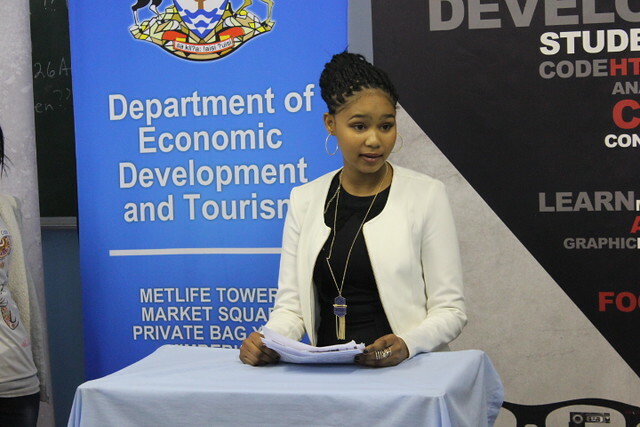 The Northern Cape Department of Economic Development and Tourism seeks to expand and plug the program in rural communities of the Northern Cape. The Geekulcha VacWork program takes in a number of high scholars to a real and co-creative working environment, get trained and build projects with ICT tools. To stimulate the minds of the youngsters, a Tech Debate was curated for them to engage in various digital aspects of life during the ICT and Business VacWork. Topics ranged from social media, digital currency to artificial intelligence and others. The debate consisted of 3 rounds and 7 sessions (7 minutes each) of different topics and elimination rounds with 4 judges and a moderator. Mixed between Afrikaans and English, the debate got heated and taught the youngsters the ability to think on their feet. We hope that this will fuel more interest in digital activities.